In 2005, I began hosting an annual Christmas cookie bake for my sisters, cousins, mom and aunts. We’ve continued the tradition each year, expanding the invitation to cousins-in-law, great aunts and friends. In 2010, I began baking in earnest throughout the rest of the year. 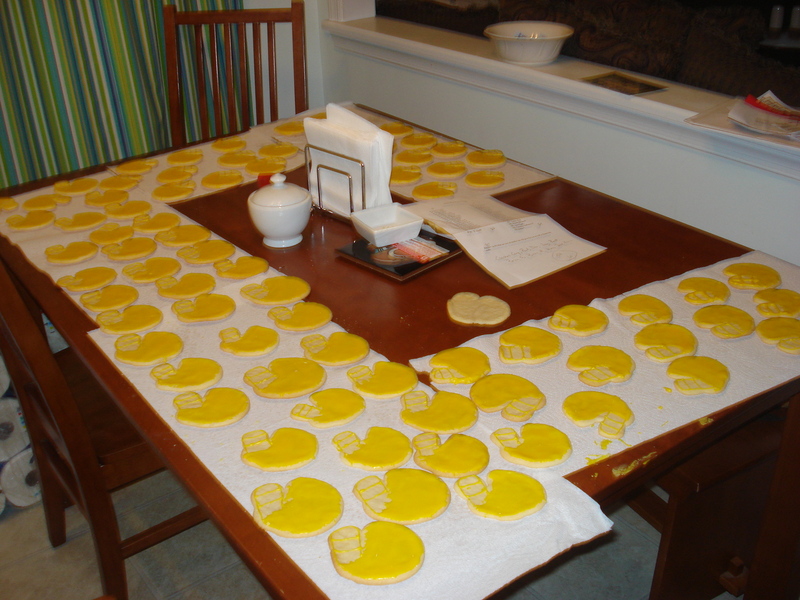 It all started when I made some sugar cookies for my oldest son’s football team and coaches. 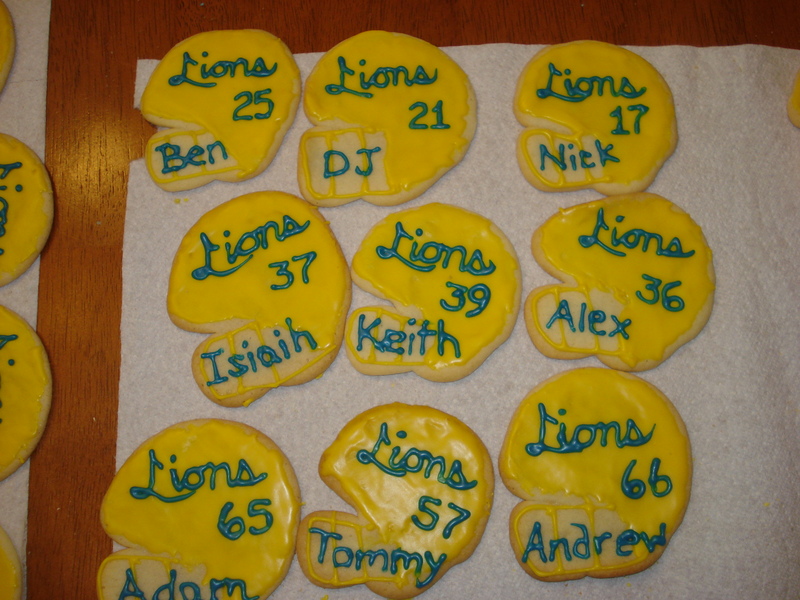 They were football helmets in golden yellow, with the kids’ numbers, names and Lions hand piped on in royal blue. It’s a damn good thing I took a Friday off to do that. Since that time, I have become known as the “cookie lady” to my son Alex’s travel/All Star baseball team. I have been asked to make cakes for special occasions. My creations are not perfect, but they are homegrown and filled with lots of love. This blog is my way of sharing my work. If you have questions, please feel free to contact me. The posts are not in chronological order of the baking at the beginning, as I uploaded many baking efforts to get this blog going. Since August 17, 2012, entries have been posted as they are whipped up! You can also find me blogging my observations about this crazy life as A Side of Rice. Sometimes I brag about my baking there — but usually with a few cuss words tossed in. Here, I’ll try to be less potty mouth and more sugar and spice. Don’t hold your breath. Oh, they most certainly do. There are many fails on the way to getting better at it!